Scottsdale, Arizona—A motorcycle accident on Loop 101 in North Scottsdale has claimed the life of Robert Demar, age 49 of Gilbert. According to accident investigators with the Arizona Department of Public Safety, Mr. Demar stopped his disabled bike on the left shoulder of northbound Loop 101 and activated the hazard lights. A pickup truck then ran onto the shoulder and struck Mr. Demar and his motorcycle. The impact propelled Mr. Demar over the median and into the southbound lanes of Loop 101. 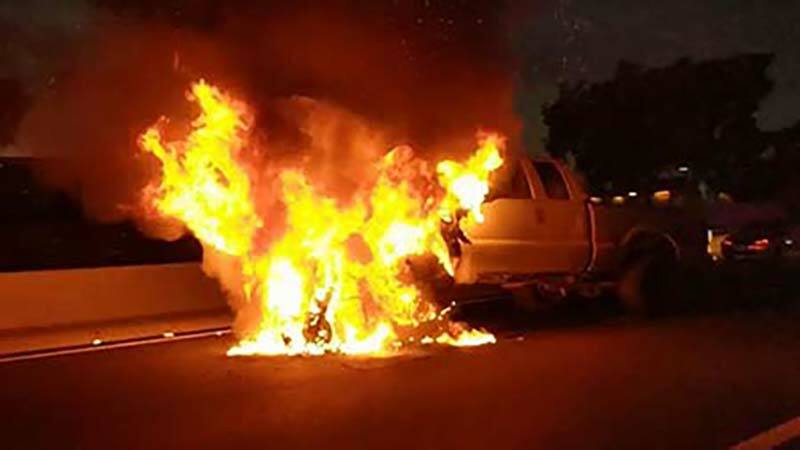 The motorcycle became lodged under the cab of the pickup, where both vehicles erupted into flames. Investigators are not certain whether Mr. Demar was seated on the motorcycle or standing beside it. The driver of the pickup truck was not injured. We extend our condolences to the family and friends of Mr. Demar over this tragic loss.